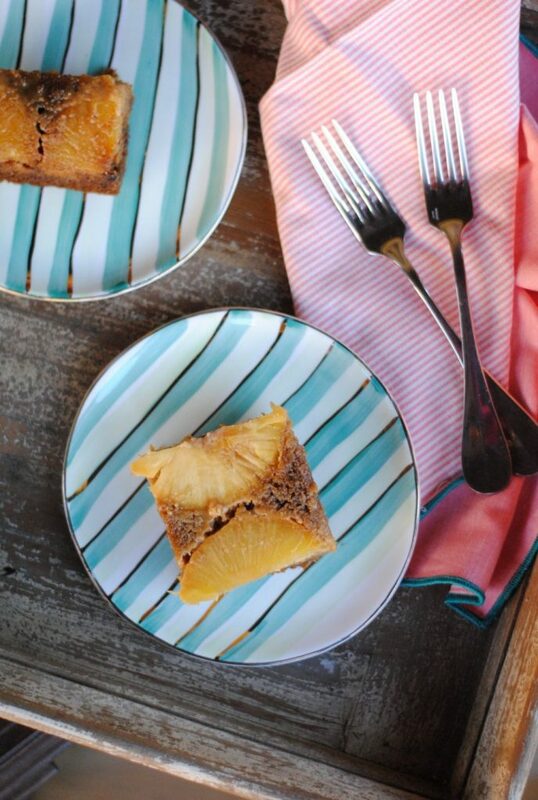 I grew up eating pineapple upside down cake quite frequently. My mom loved cooking and baking (hmmm – wonder where I got it!) and sweets were not a rarity in my house. This was one of her favorites, and thus one that we had pretty often. The only thing? It was made of boxed cake mix, canned pineapple and jarred maraschino cherries. 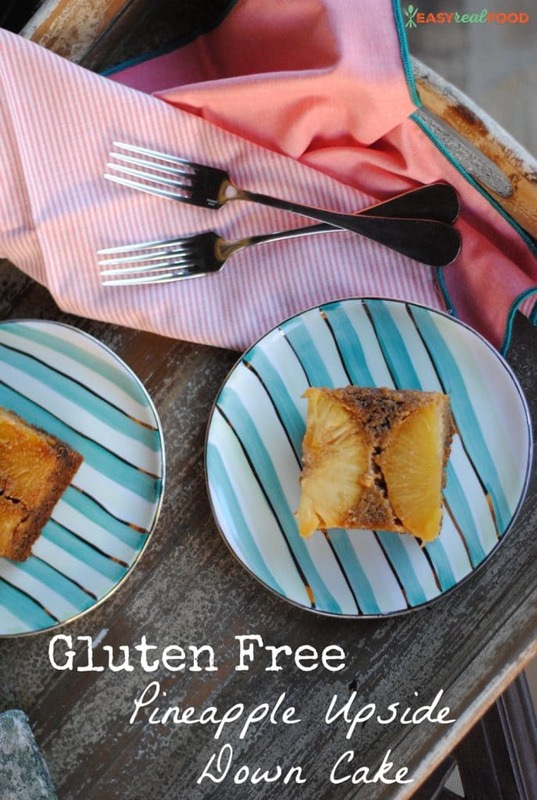 I was on a quest to make an easy version of this that we could enjoy this holiday season, and have a deeelicious and super easy recipe to share with you today for a gluten free pineapple upside down cake, a recipe that’s made with love and in honor of my mom. As mentioned above, this was a cherished dessert of my childhood. But canned pineapple + maraschino cherries is a bit of sugary syrup paired with food coloring and corn syrup. No thank you, right?! Plus now that I’m gluten free, I couldn’t even consider the version that my mom made. I actually initially put a few pomegranate seeds in place of the cherries in this recipe when I first tried it, but they got melted into the sugar syrup and couldn’t be seen;). This recipe has fresh pineapple taking the place of canned, and I promise you won’t miss the cherries in the least. This is not a sponsored post – I’m just a huge fan of Simple Mills … have been since they started their business years ago. Simple Mills provides gluten- and grain-free products including cake/muffin mixes, frosting, seed crackers, cookies, pizza crust, crackers and more. They are made from real ingredients such as almond flour, coconut flour, cassava and more and contain no preservatives. 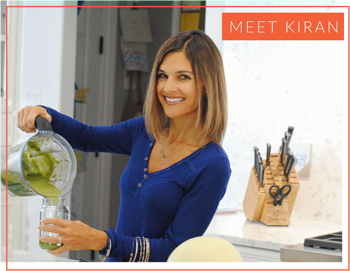 While I aim to make most foods from scratch, sometimes life happens and I need products such as the ones that Simple Mills provides to still get real food on the table in a much more doable way. Simple Mills Vanilla Cupcake & Cake Mix has just 6 ingredients (Almond Flour, Organic Coconut Sugar, Arrowroot Powder, Organic Coconut Flour, Baking Soda, Sea Salt) and requires just eggs, water and oil to bake. I honestly didn’t even think of making my own cake mix to make this recipe since I knew that it’d be a winning combination. Making the syrup to start, adding on the pineapple and then making the cake takes just about 15 minutes altogether, and the end result is SO tasty! 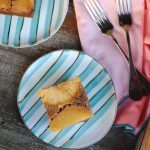 A quick and easy recipe for gluten free pineapple upside down cake, perfect for the holidays or anytime that you want a moist, delicious cake. Preheat over to 350 degrees. Cut the pineapple quarters into 1/3" thick slices. Combine the sugar and the butter in a saucepan over medium heat. When the butter has melted, whisk in butter to combine and continue stirring while the sauce simmers for 3-4 minutes. When the sugar and butter have combined and are bubbly, smooth and thick, remove from the heat. Pour the caramelized sugar mixture into a 9" pan, spread with a spatula to coat the bottom of the pan. Arrange the pineapple slices on top of the caramel in a single layer. Prepare Simple Mills Yellow Cake Mix as box instructs. Pour on top of sugar/pineapple base in cake pan. Bake 35 minutes. Let cool; cut into desired pieces, and use a spatula to remove from cake pan, serving with bottom side (pineapple) on top. Fresh pineapple – skip the canned and use the real thing. I like to buy the cored/peeled one at the store and save time by just cutting slices of it. This baking dish is wonderful and I use it all the time. I use this saucepan to make the syrup. A whisk is necessary to keep the sugars and butters moving and not burning while making the syrup. Coconut sugar is lower on the glycemic index, which is why I combined this with brown sugar. Yes, you just might! Hope you enjoy;). Isn’t it amazing what we used to eat…and like! I appreciate your modern, healthful version of this moist, delicious cake. Well that is a lot simpler than I was envisioning! This feels so special too! Thanks for the fun idea! Homemade upside down cake is the best! I love that your version is gluten free and that you use fresh pineapple. So nice that the recipe is very simple too. I agree; the simplicity makes it even better:). I haven’t had pineapple upside down cake since I was a child! This has reminded me how tasty it was! This looks delicious, I love that you have made a gluten free version. I love hearing this from other readers. Sounds like I wasn’t the only one who enjoyed it in my younger years; glad to be able to enjoy it again! 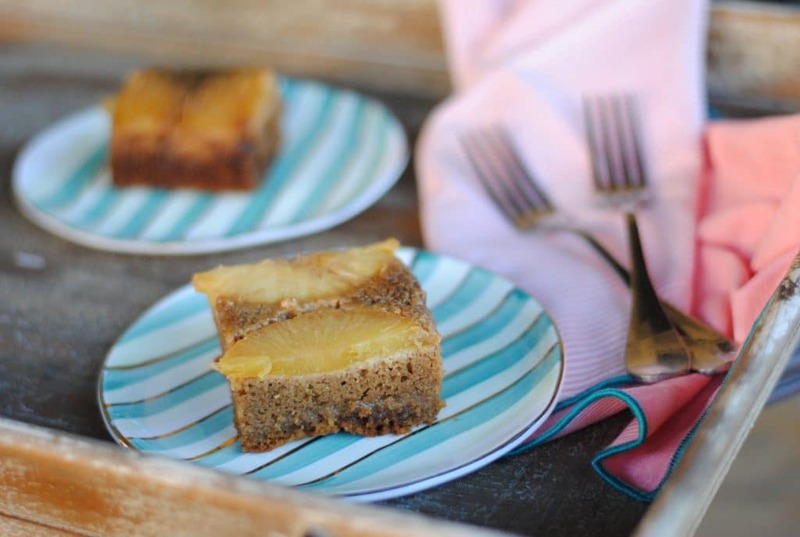 I LOVE pineapple upside down cake and this is such a delicious looking recipe! I love Simple Mills, so I bet this is tasty.